Welcome! There are several aspects to this site. Please have a look around and view the 7th Seal Activator (e.g. 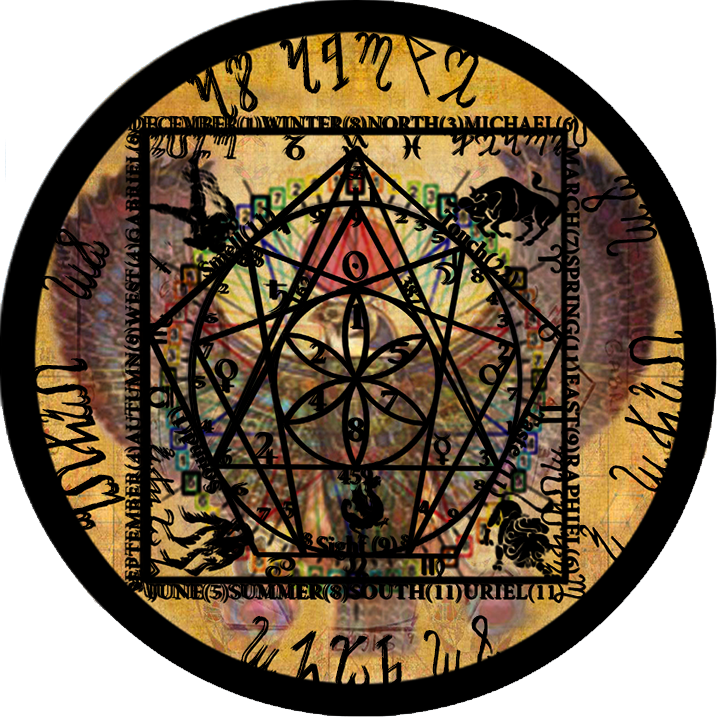 Seal or Sigil) video about this ancient technology which I have brought forward from my higher self and oversoul. This too accelerates our awakening into higher consciousness. The below video explains the specific math/frequency elements inherent in the Seal. Read below for more on the value and background of the 7th Seal. The Ancients knew the future and the time. The Ascension Portal was not only foreseen and foretold, it was documented in several ways. The most important event for humanity was understood and much time was spent ensuring the importance would not be forgotten. The month of November was paramount for the Egyptians, in that the most sacred days fell within that time frame. Most people understand the power and significance of 11/11 and have been experiencing the synchronicities around seeing number sequences. There are next level frequency activations associated with even more numbers that have not yet been fully embraced. 11/22 has been at the center of the material that Mathues Imhotep has experienced and contributed for 33 years. This number not only represents a date, but also a time and a series of activation sequences, which activates the 7th Seal or crown chakra. The Sixth Seal was activated on the planet on 4/24/14. This Easter was when the Grand Cross and Lunar Eclipse started the final stretch into the Golden Age. The Blood moons following continued to expand the consciousness and the Celestial Events that created more and more awareness on the planet. 11/7 is the time in Egypt when the TWO BECAME ONE, when upper and lower Egypt united. This number sequence is key in many ways and represents the balancing of the Mind and Heart, the light and the dark. The month of November is the trigger for bringing all into balance. The energetic increase of frequency upon the plant, via all the astrological influences and greater alignments to gates, such as 888, 8/8 Lions Gate, etc. has accelerated our conscious awakening. This all has been divinely designed and has been a herald to the final Grand Alignment of the Golden Gate 11/22. The English language was finalized by Francis Bacon and his pen pal team, when Tudor English was crafted to be a powerful spoken word, which was used to encode messages and the bible code into the King James Bible. Hidden within the words that tell the spiritual heritage of our soul family and ancient mission to awaken humanity, are the number sequences that activate Divine Consciousness. This is the foundation of the series that will be highlighted in November and the weeks before, which explain the Key Codes that have been laced within the words that describe the mystery school. The 7th Seal Activator is a new tool that carries all the frequencies for this time. All the sacred number dates that have been emphasized and expressed by so many light workers coalesce in the final hour of this year. The acceleration of frequency is being honored and embraced by many during this year’s end as the beginning of the new awakened reality. All our time lines are merging in greater awareness around such dates as 12/12 and 11/11. These are the most powerful times in history. Let us join all efforts to realize this Divine birth together and actualize the Golden Age! 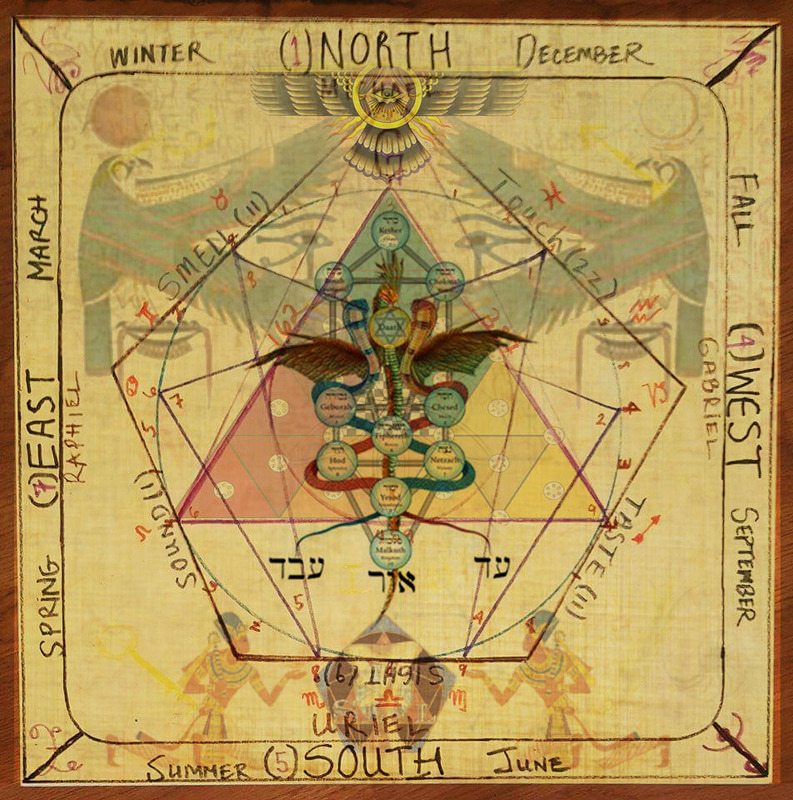 This Sacred Geometry Artwork (Activator Seal e.g. Seal) has been encoded with special number sequences that have an energetic effect on your body and the subtle systems of your energetic field. The Activation is two-fold, as the original intent is to open the Crown Chakra (7th Seal on top of the head), which allows the Higher Self of the individual using it, to enter more fully. The other intent that the Activator has been programmed for is the next level initiation for the user. For example, if the Kundilini has not been activated and opened, the Seal will cause this to occur by the user sitting on it. Many people have experienced other effects, from sleeping with it under their pillow, to placing water on the Seal, which activates the water. It is advised that you sit on the Seal for 7 minutes a few times a week. You should notice increased synchronicity in your life in the first few days! Additionally, after a few times of exposure, your spiritual journey will be enhanced to the level of your commitment to your spiritual evolution. The Sacred number sequences that are encoded within this Living Seal, produce frequencies that expand consciousness. 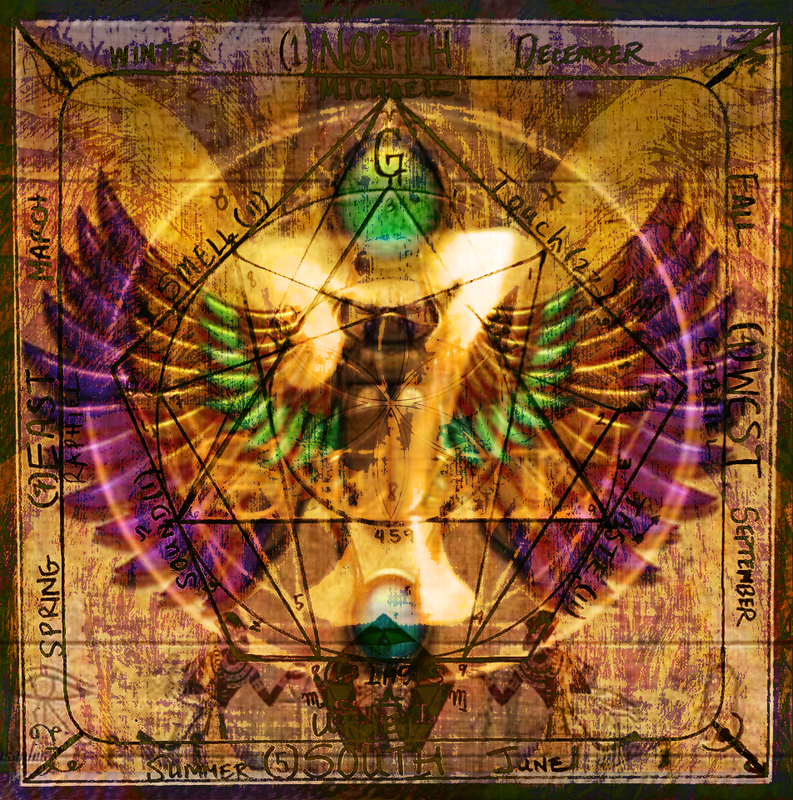 The codes, keys and number sequences have been downloaded from the Master Teacher, St. Germain (Thoth), who was instrumental in setting up the Mystery Schools of Ancient Egypt. This information was not to be released until the Golden Gate alignment occurred (11/22/17). It is now available to aid humanity in it’s Awakening for the Golden Age! Exposure to the 7th Seal Hidden Wisdom Materials will enhance your awakening. Get one here below in the online store or on ebay. 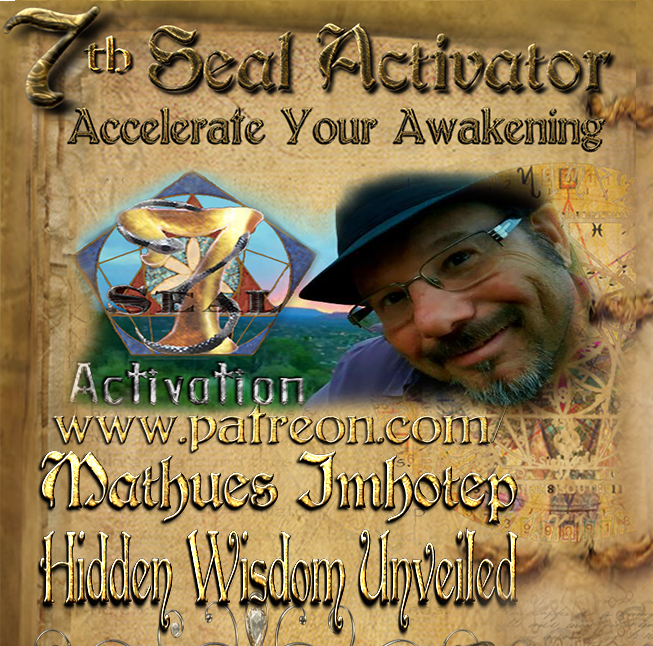 Mathues is also available in Sedona for a fuller activation that involves bigger seals and the use of light codes that he infuses while doing an extended awakening sequence. I have started a PATREON page for my up coming St. Germain Codes Series. You can have access to the first video there for only $11.00. This video will reveal deeper codes and insights to the entire language of light system as it was discovered and remembered by Sir Francis Bacon. He left a cipher that revealed encrypted messages in his books, plays and sonnets. It is clear that the original angel language and the lost codes were understood and preserved in the English Language. There will be seven episodes in this series. I plan to have the first one ready by 2/22/19. Use the store below for USA products. 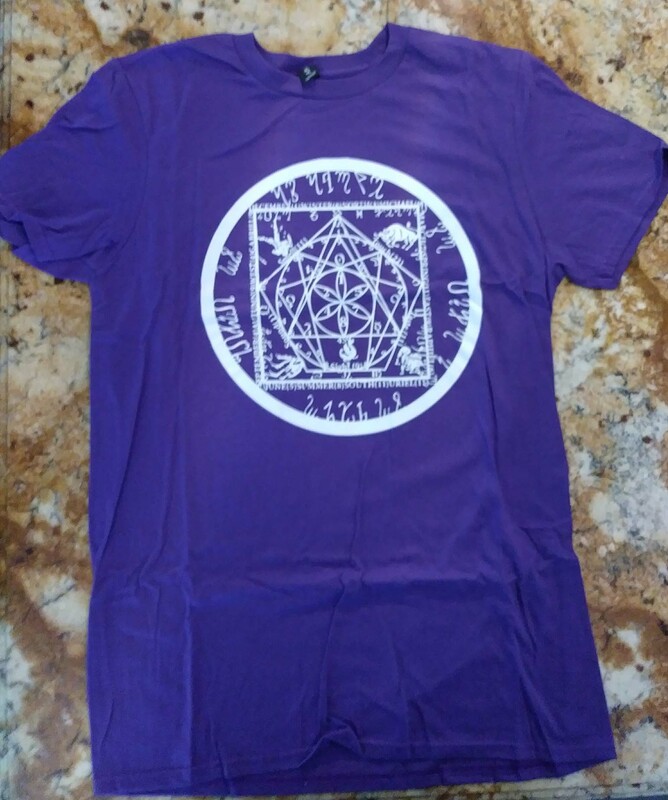 The NEW T-SHIRT is now available! Activate your friends with a hug and promote the 7th Seal Awakening! Check out the NEW Earrings below!!! Follow me for new updates! The big day is here. Become a patron @ www.patreon.com/mathuesimhotep to watch the release. For $5.00 /month you can see the seven episode series.